I've decided to switch over to Spotify from Tidal and I'm wondering how I can transfer my playlists. I have 4500 songs in just one playlist and I really don't want to do it manually. Is there any way to just have them transferred? You may decide to join Tidal Premium or Tidal HiFi plan because of the better music quality offered, and want to import the Spotify music to Tidal, like some exclusive songs you can’t find on Tidal, so the following part will mainly show you how to import Spotify music to Tidal for playback. Tidal suggests you use Soundiiz to convert the existing playlists you have on other streaming services like Spotify, Deezer, Grooveshark, YouTube, Last.fm, SoundCloud etc to a Tidal playlist. The free plan of Soundiiz nearly meets your needs to move Spotify playlists to Tidal, but this works for Spotify Permium subscribers and free plan users. Step 1: Create a Soundiiz account if you haven't. Step 2: After you log into Soundiiz, a list of streaming music service will be shown in the lest bar. You just need to click Spotify icon and press Connect, then log into your Spotify account, and Soundiiz will show all your Spotify playlists. Step 3: You are allowed to manage your playlists including create, delete, merge, or import more playlists. 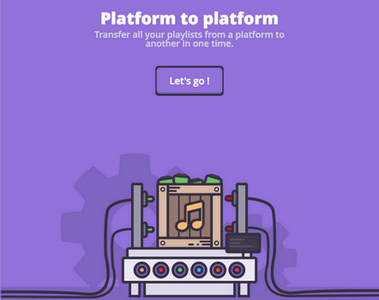 Step 4: Click Platform to platform button and follow the on screen instructions to move all of your playlists from Spotify to Tidal at once. But if you are free user, you aren’t even allowed to download Spotify music for offline enjoying, let alone transferring your playlists to Tidal. So in order to make your Spotify music transferred to Tidal, a third party Spotify music tool – Sidify Music Converter for Spotify is needed. 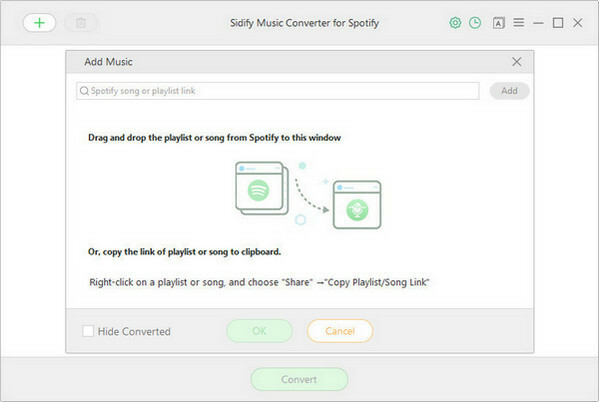 With Sidify Music Converter for Spotify, you can easily download Spotify music or playlists to DRM-free audio formats as MP3, AAC, WAV or FLAC with the 320 kbps audio quality kept, thus you can import the local Spotify music you downloaded to Spotify or iTunes, then use Soundiiz to help you transfer them to Tidal. 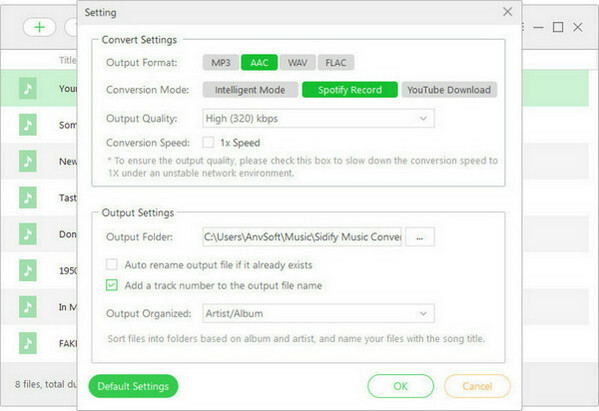 Now, let's take a look at the specific tutorial on how to convert Spotify music to plain formats including MP3, AAC, FLAC, and move the converted Spotify music to Tidal streaming service. Step 1: Add Spotify Music to Sidify Music Converter. 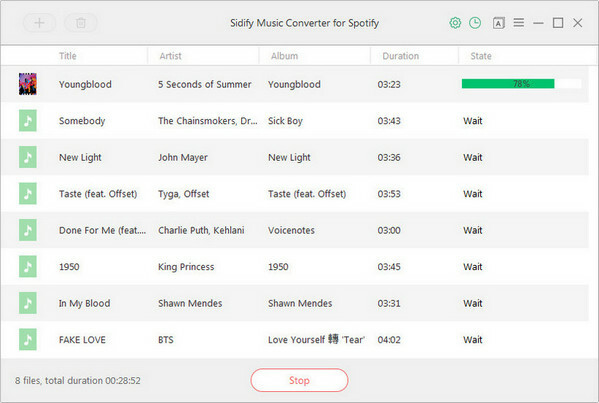 Download and install Sidify Music Converter for Spotify on PC or Mac, then launch it. Spotify Music app will be launched automatically. Go to Spotify Music app and search for the exclusive music or playlists you want to convert, then right-click it and click "Share" to copy the music URL. 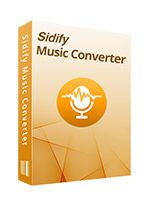 Then click button or "Click Here to Add Audio" on Sidify Music Converter to paste the music URL. Or you can Drag & drop a song or a playlist from Spotify to Sidify Music Converter for Spotify directly. Step 2: Customize the Output Setting. Click "OK" to finish adding Spotify music. Then click button to choose the output formats (MP3, AAC, WAV, FLAC), output quality (up to 320kbps) and conversion mode. In order to help you organize the music library after finishing downloading, Sidify program supports saving the output audio into Artist, Album, Artist/Album or Album/Artis. Step 3: Start Downloading Spotify Music to Local. Step 4: Start Importing the Downloaded Spotify Music to Tidal. Because the Spotify music you download with Sidify Music Converter is located in your local folder, you can upload them to Spotify app or iTunes library, then use Soundiiz to transfer them across 2 platforms.